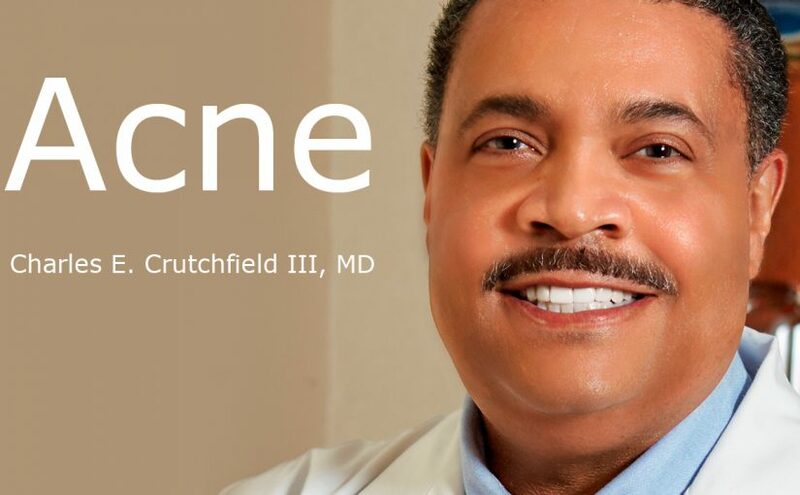 Hi, this is Dr. Charles Crutchfield clinical professor of dermatology and medical director at Crutchfield Dermatology. Today we are going to talk about acne. the acne blemishes have healed, this is also known as post inflammatory hyperpigmentation, can be a real problem. conditions and I need to treat both of them to make the skin look nice. In fact the better one is at treating acne, the fewer brown spots will have to be treated in the end. A very important fact when treating acne: most acne medicines are designed to make acne better not necessarily completely gone. So in skin of color the residual brown spots will have to be addressed also. Nevertheless there are good medicines to treat acne and the brown spots, so check with your dermatologist for the best plan for your skin.